When a man reaches this stage of "spiritual" development, he is a Zen artist of life. 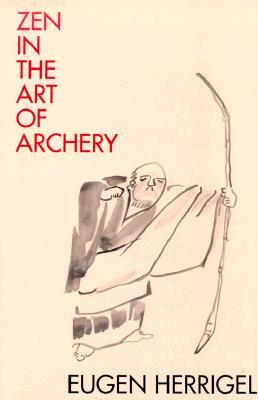 He does not need, like the painter, a canvas, brushes, and paints; nor does he require, like the archer, the bow and arrow and target, and other paraphernalia. He has his limbs, body, head, and other parts. His Zen-life expresses itself by means of all these "tools" which are important to its manifestation. His hands and feet are the brushes and the whole universe is the canvas on which he depicts his life for seventy, eighty, or even ninety years. This picture is called "history." It's not the high prices for "quality" art that bother Ebsworth. Picasso's Boy with Pipe, which sold for $104 million in 2004, he says, was "worth every dollar." So was the Klimt. What troubles him - and signals an irrational market, fueled by Richistani competition - are the huge prices being paid for bad art. "When you see a late '60s Picasso selling for more than $15 million, that's crazy. That was his weakest period. These people have a lot more money than smarts. They're buying the name, nothing else. The dealers are flakking these B-minus pictures as if they're great works, and buyers don't know the difference. The art market hasn't seen such a run-up in prices since the late 1980s. And while many say history is bound to repeat itself - with a speculative bubble followed by a sudden collapse in prices and demand - others say supply and demand will dictate a continued rise in prices. 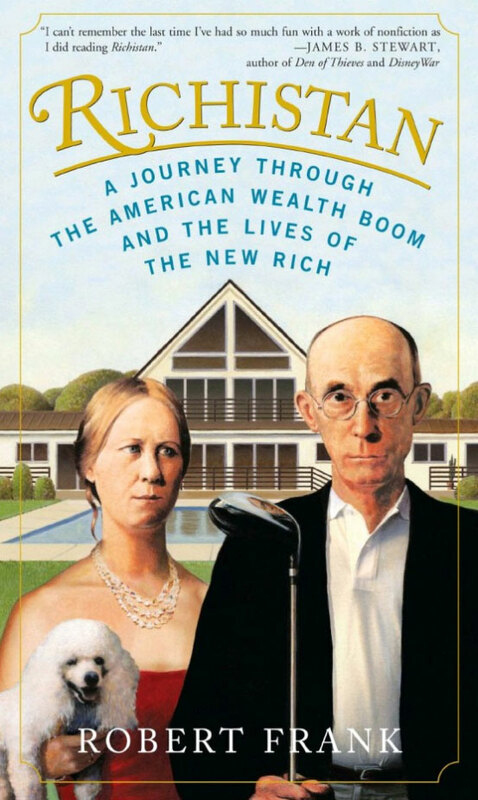 There are, quite simply, too many rich people chasing the same paintings. The big auctions in New York have become like spectator events for competitive spending. Sotheby's and Christie's racked up combined sales of $729 million during their fall 2006 contemporary-art auctions - more than 10 times their total in 2000. Richistanis like their art large and loud. As one New York dealer told me, "Today's collectors are buying with their ears, not their eyes." And they want brand names. They want their guests to notice the Picasso signature above the dining table or the Jackson Pollock splatter painting next to the big-screen TV. "They've got the yacht and the three homes, so what's left?" Ebsworth says. Beyond filling space on their walls, the New Rich have been convinced that art is an investment product. Wealth managers, financial advisers, art dealers, galleries and auction houses have all colluded to push the concept of art as a way to make money. A Chuck Close portrait isn't just a painting: it's a "noncorrelated asset." Art doesn't just balance the living room; it balances your portfolio. By turning art into a financial product, art dealers have made the market much more appealing to Richistanis. Richistanis may not understand the cultural importance of Campbell's Soup Can with Can Opener, but they do know that price increases for Warhols have far outpaced the stock market in recent years. The Mei Moses Fine Art Index, which aggregates the prices of artworks that have sold publicly at least twice over their lifetime, has handily outperformed stocks in the past five years. ... Many hedge funders have become savvy art flippers, using their expertise in financial trading and market-making to buy and sell paintings. Contemporary art is especially attractive, since prices are set more by trading activity than by history and critics. In 2003, Dan Loeb, the 43-year-old hedge-fund manager partner at Third Point LLC, bought a painting titled UNO-Gebaude Haus per la pax, by the German artist Martin Kippenberger. In 2005, he sold it to British collector Charles Saatchi for a 500 percent profit, making a quick $1 million. "With this kind of art, you can make your own taste," quipped hedge-fund manager James Chanos. Some hedge-fund managers invest heavily in one or two artist, build up a "position" and help boost their prices before unloading the works at a profit.